Netherlands scored twice in a four-minute span and shut out Spain 2-0 on Tuesday in a friendly in Amsterdam. Klaassen found himself free to shoot in the middle of the 18-yard box, and though his initial shot was saved by David De Gea, he fired the rebound into the back of the net. A wave of second-half Spain reinforcements included David Silva, Alvaro Morata and Andres Iniesta, but Spain could not find a response despite holding 55 percent possession. Italy and England drew 1-1 in an entertaining international friendly at the Juventus Stadium. The hosts took the lead just before the half hour when Southampton striker Graziano Pelle glanced home a Giorgio Chiellini cross. England grew in confidence in the second half as both sides had chances to add to the scoreline. But it was substitute Andros Townsend who turned out to be England's saviour, firing home a superb effort from the edge of the box in the 79th minute. A young Portugal side were stunned in a 2-0 defeat to Cape Verde Islands. First half-goals from Odair Fortes and Gege gave the African visitors the lead, and a red card to Andre Pinto on the hour mark ended most hopes for a Portugal comeback. Fernando Santos used the game to experiment and made 11 changes from the side who beat Serbia in an Euro 2016 qualifier on Sunday. 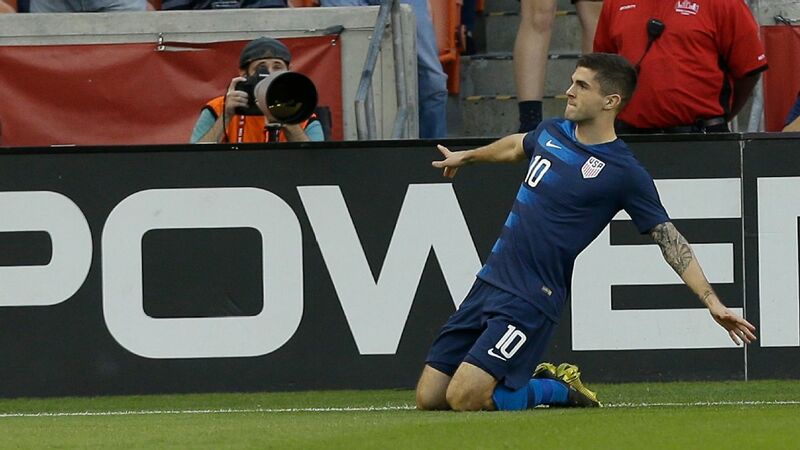 The United States withstood a red card to Jozy Altidore and sustained pressure from Switzerland to earn a 1-1 draw in Zurich. 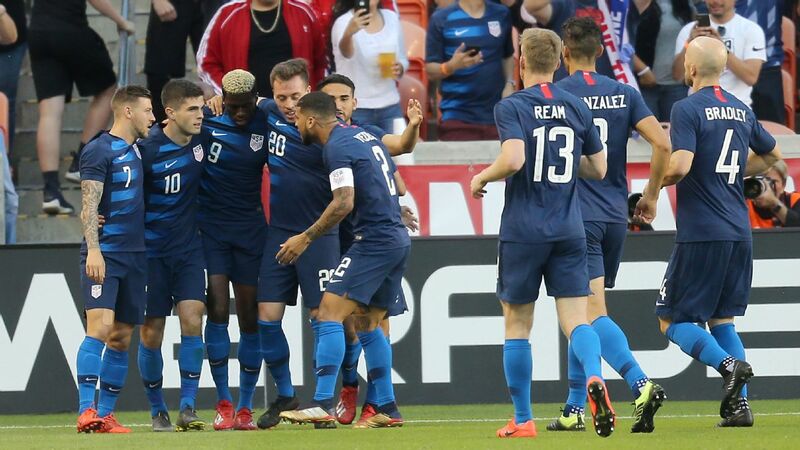 The U.S. led 1-0 on Brek Shea's goal from a free kick on the stroke of halftime, but the momentum shifted in the second half when Altidore was booked for tripping up Francois Moubandje. Altidore then immediately received a straight red card for dissent and was sent to the dressing room in the 68th minute. Switzerland pressed on the attack and found an equalizer in the 80th minute following a corner that fell to Valentin Stocker to tap home from three yards out. Another game without Lionel Messi in the United States and another win for Argentina. This time Sergio Aguero and Javier Pastore led the way as the Argentines beat Ecuador 2-1. 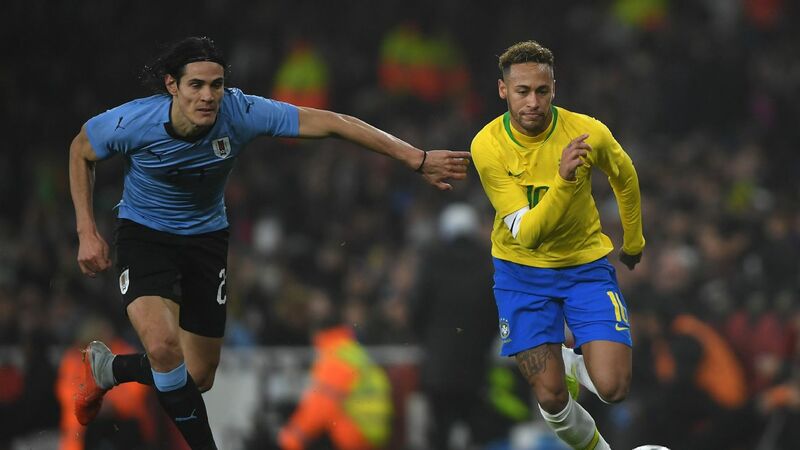 Aguero opened the scoring in the eighth minute, but Ecuador's Miller Bolanos leveled in the 24th minute to see the teams into the locker room deadlocked at one goal each. Paris Saint-Germain man Pastore put one past Alexander Domniguez midway through the second half and Argentina held onto the lead after that for the win. Zlatan Ibrahimovic scored to lead Sweden to a 3-1 win against Iran. Ibrahimovic scored a header to put Sweden ahead in the 11th minute, and Marcus Berg doubled the advantage 10 minutes later. Although Iran's Javad Nekounam halved the lead with a penalty, Sweden held on until the 89th minute when Ola Toivonen restored the hosts' two-goal lead. Japan scored four goals in the second half Tuesday to beat Uzbekistan 5-1 and win their second straight friendly under new coach Vahid Halilhodzic. Toshihiro Aoyama put the hosts ahead with a stunning shot from 30 metres in the seventh minute. In the second half, Shinji Okazaki doubled the advantage with a header 10 minutes after the break. Gaku Shibasaki then made it 3-0 for Japan in the 79th minute before Islom Tuhtahujaev pulled one back for the visitors three minutes later. Takashi Usami and Kenga Kawamata added late goals to complete the rout. Lee Jae-Sung's late winner lifted South Korea to a 1-0 victory against New Zealand. Son Heung-Min saw his first-half penalty saved by New Zealand goalkeeper Stefan Marinovic, who kept out South Korea until the 87th minute, when Lee put in a rebound. The game served as a farewell for South Korea defender Cha Du-Ri, who announced his international retirement after the Asian Cup final. 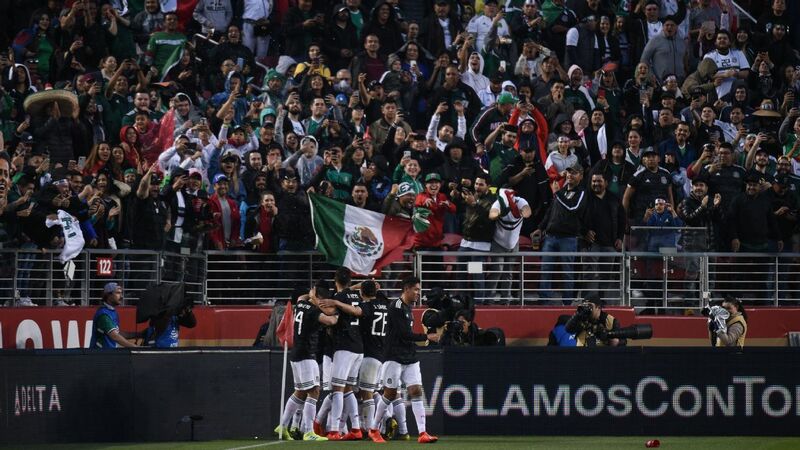 In a lineup featuring 10 new players from the one that beat Ecuador 1-0 on Saturday, Mexico once again came out on top riding an early Eduardo Herrera goal to a 1-0 win against Paraguay. Herrera, who was making his debut for El Tri, stretched out to get on the back of a Juan Carlos Medina cross and put it past Paraguay keeper Justo Villar. The goal came on Herrera's first touch of the game. Paraguay applied pressure on Mexico No. 3 goalkeeper Edgar Hernandez in the second half. But the El Tri shotstopper was up to the task making several crucial saves to help his side secure the win as Mexico prepares for a busy summer with both the Gold Cup and Copa America on the team's schedule. Russia could not find a breakthrough and settled for a 0-0 draw with Kazakhstan, who earlier on Tuesday expressed interest in hosting the 2026 World Cup. 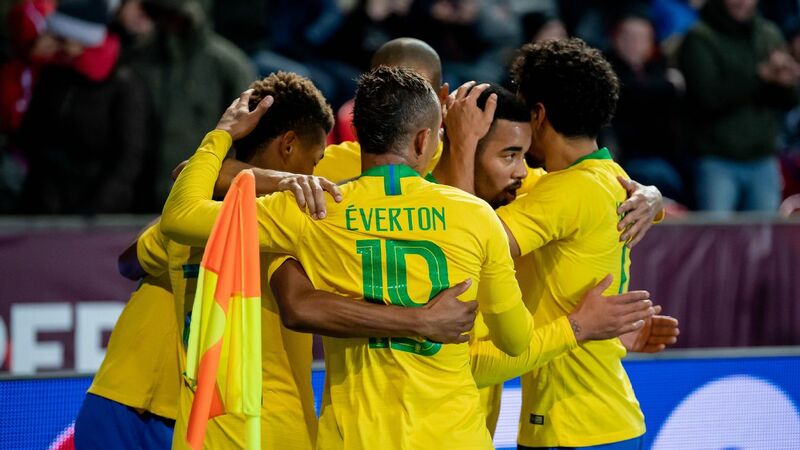 Fabio Capello debuted seven uncapped players after just one win in Russia's last eight competitive matches, not including Friday's Euro 2016 qualifier against Montenegro, which was abandoned due to crowd trouble. Ondrej Duda scored after the interval to lead Slovakia to a 1-0 victory over Czech Republic. The 20-year-old midfielder struck with a low shot from outside the penalty area in the 49th minute for his second international goal. It was the third victory for Slovakia in the 10th match against the Czechs since Czechoslovakia's split in 1993. The Czechs have won five games. Austria and Bosnia-Herzegovina played to a 1-1 draw in their friendly in Vienna. Marc Janko put the home side ahead in the 34th minute. Just after the break, Bosnia's Izet Hajrovic levelled the score. Vitalijs Maksimenko scored in stoppage time to give Latvia a 1-1 draw in Ukraine. Andriy Yarmolenko put the hosts ahead in the 35th minute, but Maksimenko salvaged a point in the 92nd minute. Hakan Calhanoglu scored late on and Turkey left Luxembourg with a 2-1 win. Mevlut Erdinc put the visitors ahead in the fourth minute, but Mario Mutsch equalised on the half-hour before Calhanoglu's winner in the 87th minute. Konstantin Vassilijev's goal for Estonia in the second half cancelled out Rurik Gislason's early strike for Iceland as the teams played to a 1-1 draw. Mali's Bakary Sako converted a penalty for a 1-1 draw with Ghana, who got an opener from Agyemang Badu in a game played in Paris. Yaser Kasim scored the only goal as as Iraq beat DR Congo 1-0 in the United Arab Emirates. Corentin Martins won his first game as coach of Mauritania with a 2-0 victory over Niger. Adama Ba put the hosts ahead from a penalty in the 73rd minute and Ali Abeide added a second goal soon after. Blas Perez and Luis Tejada scored to guide Panama past Costa Rica 2-1, while El Salvador and Guatemala played to a goalless draw in Carson, California. Yu Dabao scored in stoppage time to give China a 1-1 draw with Tunisia in Nanjing. Mohamed Ali Moncer headed in the opener in the first half for the visitors, and China had to wait to respond until Yu pounced on a spilled rebound in the 93rd minute. Singapore were held to a 2-2 draw by visiting Guam. Shawn Nicklaw scored the opener for Guam in the first half, though the hosts were able to equalise through Faris Ramli in the 53rd minute. Guam led again in the 72nd minute when Jason Cunliffe lobbed in their second, and Singapore salvaged a draw when Shahril Ishak scored following a corner seven minutes later. Daniel Kaufmann scored in the first half to give Liechtenstein a 1-0 win over San Marino in a battle of European minnows. Syria defeated Tajikistan 3-2 in a game that had implications for Asian World Cup qualifying. By avoiding defeat, Syria likely moved into Pot 2 for the AFC draw, conducted using April's FIFA rankings, while Afghanistan dropped into Pot 3.